The Historic District Is 10 Minutes Away! 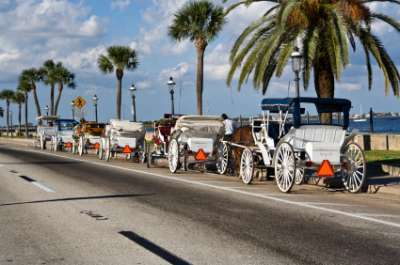 Founded in 1565, St. Augustine is the oldest continuously occupied settlement of European origin in the United States. Cross the Bridge of Lions into the Old City, then take a buggy ride through the Historic District with its narrow cobblestone streets, balconied houses and numerous historical sites, reflecting its Spanish origins. There you will also find quaint cafes, bars and unique shops. 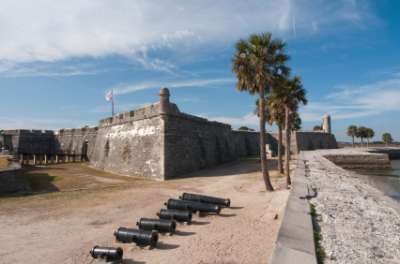 The St. Augustine Visitor Information Center is located at the edge of the Historic District across from Castillo de San Marcos. Parking is easily accessible and it should be your first stop to learn more about the Old City. 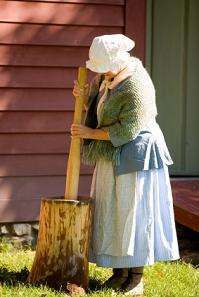 The Colonial Spanish Quarter is a living history museum located in the Historic District. Tradesmen go about their occupations in blacksmithing, carpentry, leatherworking, candle making and other trades. Completed in 1891, the jail housed prisoners for over 60 years and is one of the few surviving 19th century jails. 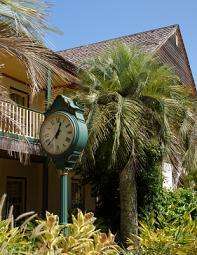 Built by Henry Flagler, it was made to resemble a fine hotel. 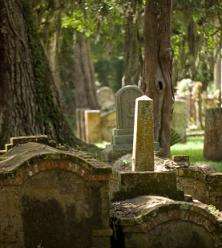 BEWARE: Many people say it is still haunted by prisoners who ended their lives on its gallows.